Thrill seekers love our Banana Boat Rides! Who wouldn't love getting whipped around the Gulf of Mexico, with their friends and family, on a huge floating banana boat! 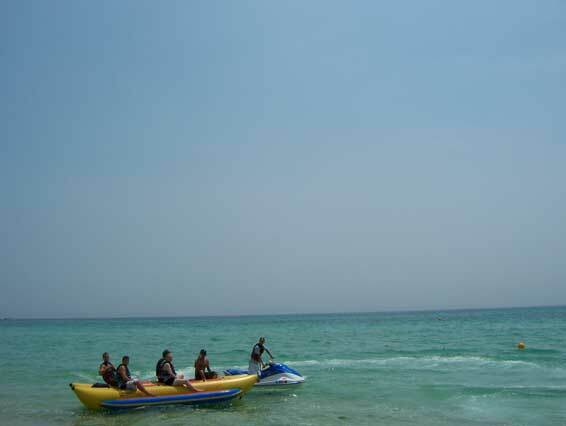 Feel the spray of the warm Gulf waters as your pulled along on a banana boat. 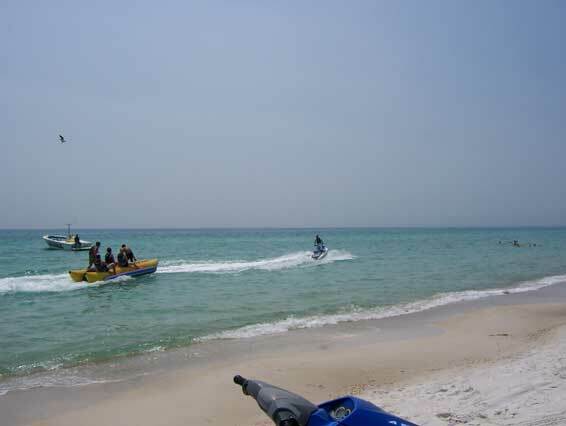 The best banana boat rides in Panama City Beach. In one word, AWESOME!!! Please call to make your reservation. Paying online does not reserve your time. You can shop for our other water sport activities or beach services in our online store.